In a sense, this story starts at Creation. 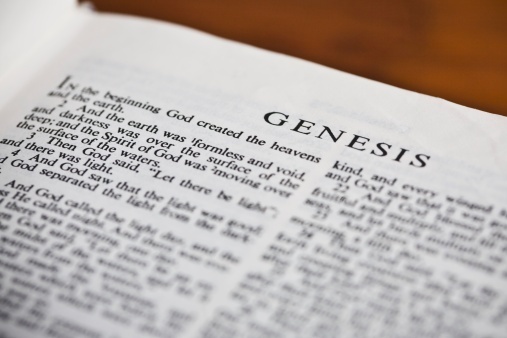 However we understand these passages, Genesis 1 is the Biblical narrative of God's deliberate action in crafting the universe, the Earth, and mankind in particular. What about before that? What was happening before "In the beginning?" The Bible has very little to say about things before then; much of this gets inferred from what is written. We know God is eternal. We know that God the Father, God the Son, and God the Holy Spirit were all present before the creation of the world. Thus, we know there was already, in a sense, relationship between the three persons of the triune Godhead. Thus, God's act of creation wasn't out of any sense of "loneliness," as if God lacked anything for the absence of mankind, nor was it born of a desire to see mankind tested or punished. In this act of creation, God didn't make us as mindless automatons, toys with pull-strings to bleat out pre-programmed phrases. How meaningful could "love" be in that case? Part of the relevance of being made "in the image of God" is the free will we received, the ability to choose to obey and seek after God or not. That decision wasn't without consequence; we disobeyed, and have felt the ramifications for that ever since. This isn't the end of the story, of course. God's love for us wouldn't let that chasm of sin separate us from God. Thus, the entire Biblical narrative, from Genesis to Revelation, is the story of reconciliation between God and Man (Acts 17:22-31.) None of this is forceful; God invites people to return to Him, it isn't forced upon them. I've severely abbreviated an idea that stretches across the whole of scripture, but that's the Christian metanarrative in a nutshell. Mankind was made to be in relationship with God. We wrestle with this question of Meaning because, in the deep place of our soul, we feel the distance from the One who made us, and only in Him can those longings find fulfillment. As Augustine put it: "Thou hast made us for thyself, O Lord, and our heart is restless until it finds its rest in thee." The world outside of the Church tells its story about us. This is our story about the world. Ayer dismissed it out of hand, claiming that there's "no good reason" to believe in God. I respectfully disagree, but that's not the argument at hand here. Returning to Ayer, it's worth starting at the beginning of his argument. Like Nielsen and so many others, Ayer started the essay faffing about with the "meaning of meaning." This section starts with thinking about purpose. In the absence of God, thinking about the "purpose" of your life really just amounts to asking, "What were the conditions and how were affairs ordered that resulted in my life?" As he puts it, there's no real difference in this case between an explanation and a mere description of events. The answer is purely arbitrary. Ayer reluctantly allows God into the picture, but this doesn't resolve the matter. The sovereignty of God mucks about with the argument. After all, if God has a Will, His intended "way" for things to be, then nothing we do matters, and thus can't be meaningful, because it won't change the outcome. Nor can our actions be meaningful if we can't know God's intended outcome and join in on it. On the other hand, if our actions could change the outcome, then in what way is God sovereign? This problem remains, according to Ayer, regardless of whether God's purpose can be known. Christians have wrestled with the question of God's sovereignty for ages. There's a Biblical understanding of how God can be sovereign and yet man is still responsible for choosing wisely, though it would be a bit much to get into for this post. The primary questions, however, rest around what we mean by "God's Will." If we mean God's desire that man should be restored to a right relationship with Him, then God's sovereignty isn't a consideration. After all, God does not exercise sovereignty in this matter in favor of giving men the freedom to choose God or not. If we mean God's "working out" of the course of human history towards desired ends, such as the birth of the Messiah or the events of the book of Revelation, then such considerations are irrelevant to human behavior. We aren't in a position to understand the moving parts and motivations the way God would, although that is not the only caveat. Consider this analogy: Imagine your friend is throwing a party and invites you to attend. He asks that you bring paper plates for the party. For whatever reason, you end up having to cancel attending the party. Your friend asks someone else to bring the paper plates. 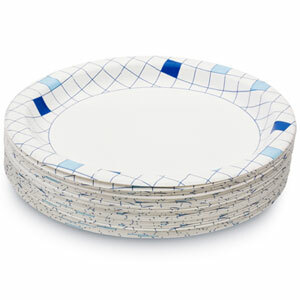 Nobody would think to themselves, "It doesn't matter whether I attend the party or not; my friend will have paper plates either way." Such thinking misses the point of the invitation and most likely played no role in the choice to attend or not. Note how that feeds back into the idea of purpose in life. I've yet to meet a scientist who declined to study a topic because any discovery would be made regardless of their work. A chef could fret that people already have plenty of options for eating food, and they'll fill their bellies one way or another; somehow, people still find the gumption to open new restaurants. Our participation in God's Will is invitational and relational. God's Will may remain unaltered in the latter sense, but the consequences of our decisions still affect us, and thus God's Will in the former sense. Not the most profound analogy I've ever used, but it gets the point across. And so, to whatever level our explanations may be carried, the final statement is never an answer to the question "Why?" but necessarily only an answer to the question "How?" . . . But what is required by those who seek to know the purpose of their existence is not a factual description of the way that people actually do conduct themselves, but rather a decision as to how they should conduct themselves. Ayer's point is that the real question behind Meaning is about how one should live their life in order to achieve a feeling of meaningfulness. Both Ayer and Nielsen get caught up in the error of confusing that feeling of meaningfulness with the question of Meaning, but they're not wrong when they observe that Meaning is bound up with how we ought to live. After all, if we were made for a purpose, that should necessarily change our course in life. This is the outworking of the Biblical story. If we are made to be in relationship with God, if the culmination and greatest fulfillment of our lives is to be made right with Him, then the command to love Him in every facet of our being is a response that flows naturally. If God has this relentless, unceasing affection for us, then to love those that He loves is the essential way to honor that love. We tend to get caught up on the specifics of "how," of course; what form should loving one's neighbor take in our lives at any given time. This is worth wrestling over, to be sure, but to get lost in a question of Meaning on this front is to miss the forest for the trees. If we do love God, and we are loving our neighbor, then we waste time worrying that we have missed out on something or made a mistake in the "how." As it's been said, "God loves adverbs. He doesn't care how good, but how well." This, in short, is the Christian story. (Although, if you read all of this, it might not seem that short.) We were made to be in relation to a God who bent Heaven and Earth to reconcile our hearts to His, and that plays out in our lives through love for one another. All of this together leads to a coherent vision of man and his role in this world. I stated at the beginning of this post that the Christian response to other narratives about Meaning becomes clear in light of this narrative. Ayer's misunderstanding of divine sovereignty, for example. Other writers assume that only actions which have eternal consequences are meaningful, or that Meaning is a purely subjective arrangement. I'll get to those ideas in future posts; hopefully I'll be able, eventually, to address all of the essays in the book I've been reading. By laying out the Christian perspective now, however, I hope that the response to those ideas becomes much clearer in the future.